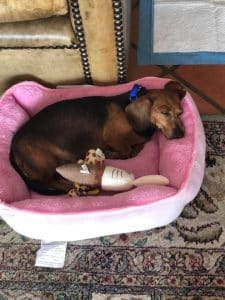 Courtesy Post – Sweet Pea | 100+ Abandoned Dogs of Everglades Florida, Inc. I am looking for a home for Sweet Pea. 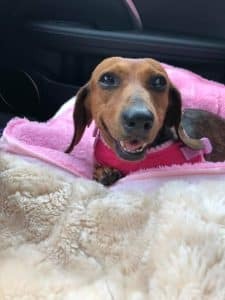 She is an 8 year old female daschund who was used for breeding and now needs a home where she can be loved and spoiled. 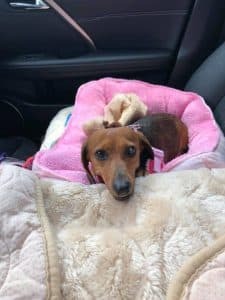 An elderly family member got her as a companion but she realizes now she needs a dog she can lift and carry around and Sweet Pea is too heavy for her. The silver lining is that this girl will never have to have babies again and will be loved and spoiled when the right home is found. 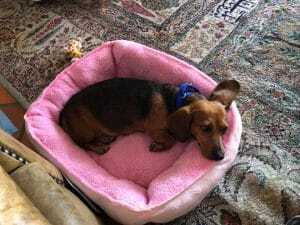 She is super sweet and submissive, dog friendly, loves everybody, follows you around the house and loves to snuggle in bed. Uses pee pads in the house. No small children only because daschunds need to be handled carefully to prevent any spinal injuries. Will be spayed, microchipped, and vetted. Located in Ft. Lauderdale area. If interested please PLEASE SEND AN EMAIL and include your phone number and location to ZOSTALJA@GMAIL.COM. Please do not call the rescue number about this dog. Thank you.